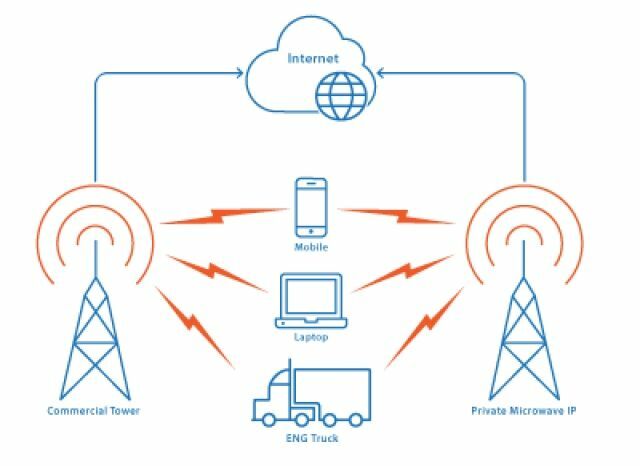 For wireless networks that share time-sensitive information on the fly, it's not enough to transmit data quickly. That data also need to be fresh. Consider the many sensors in your car. While it may take less than a second for most sensors to transmit a data packet to a central processor, the age of that data may vary, depending on how frequently a sensor is relaying readings. in an ideal network, these sensors should be able to transmit updates constantly, providing the freshest, most current status for every measurable feature, from tire pressure to the proximity of obstacles. But there's only so much data that a wireless channel can transmit without completely overwhelming the network. How, then, can a constantly updating network - of sensors, drones, or data-sharing vehicles - minimize the age of the information that it receives at any moment, while at the same time avoiding data congestion? Engineers in MIT's Laboratory for information and Decision Systems are tackling this question and have come up with a way to provide the freshest possible data for a simple wireless network. The researchers say their method may be applied to simple networks, such as multiple drones that transmit position coordinates to a single control station, or sensors in an industrial plant that relay status updates to a central monitor. Eventually, the team hopes to tackle even more complex systems, such as networks of vehicles that wirelessly share traffic data. "If you are exchanging congestion information, you would want that information to be as fresh as possible," says Eytan Modiano, professor of aeronautics and astronautics and a member of MIT's Laboratory for information and Decision Systems. "If it's dated, you might make the wrong decision. That's why the age of information is important." Modiano and his colleagues presented their method in a paper at IEEE's international Conference on Computation Communications (Infocom), where it won a Best Paper Award. The paper will appear online in the future. The paper's lead author is graduate student lgor Kadot; former graduate student Abhishek Sinha is also a co-author. Traditional networks are designed to maximize the amount of data that they can transmit across channels, and minimize the time it takes for that data to reach its destination. Only recently have researchers considered the age of the information - how fresh or stale information is from the perspective of it's recipient. "I first got excited about this problem, thinking in the context of UAVs - un - manned aerial vehicles that are moving around in an environment, and they need to exchange position information to avoid collisions with one an other," Modiano says. "If they don't exchange this information often enough, they might collide. So we stepped back and started looking at the fundamental problem of how to minimize age of information in wireless networks." In this new paper, Modiano's team looked for ways to provide the freshest possible data to a simple wireless network. They modeled a basic network, consisting of a single data receiver, such as a central control staion, and multiple nodes, such as several data-transmitting drones. The researchers assumed that only one node can transmit data over a wireless channel at any given time. The question they set out to answer. Which node should transmit data at which time, to ensure that the network receives the freshest possible data, on average, from all nodes? "We are limited in bandwidth, so we need to be selective about what and when nodes are transmitting," Modiano says. "We say, how do we minimize age in this simplest of settings? Can we solve this? And we did." The team's solution lies in a simple algorithm that essentially calculates an "index" for each node at any given moment. A node's index is based on several factors: the age, or freshness of the data that it's transmitting; the reliability of the channel over which it is communicating; and the overall priority of that node. "For example, you may have a more expensive drone, or faster drone, and you'd like to have better or more accurate information about that drone. So, you can set that one with a high priority," Kadota explains. Nodes with a higher priority, a more reliable channel, and older data, are assigned a higher index, versus nodes that are relatively low in priority, communicating over spottier channels, with fresher data, which are labeled with a lower index. A node's index can change from moment to moment. At any given moment, the algorithm directs the node with the highest index to transmit its data to the receiver. 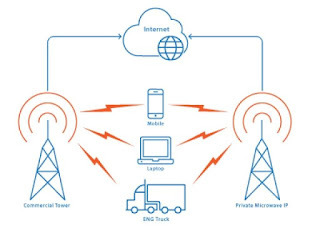 In this prioritizing way, the team found that the network is guaranteed to receive the freshest possible data on average, from all nodes, without overloading its wireless channels. The team calculated a lower bound, meaning an average age of information for the network that is fresher than any algorithm could ever achieve. They found that the team's algorithm performs very close to this bound, and that it is close to the best that any algorithm could do in terms of providing the freshest possible data for a simple wireless network. "We came up with a fundamental bound that says, you cannot possibly have a lower age of information than value - no algorithm came close to that bound," Modiano says. "So it's close to optimal." The team is planning to test its index scheme on a simple network of radios, in wich one radio may sere as a base station, receiving time-sensitive data from several other radios. Modiano's group is also developing algorithms to optimize the age of information in more complex networks. "Our future papers will look beyond just one base station, to a network with multiple base stations, and how that interacts," Modiano says. "And that will hopefully solve a much bigger problem."